TeenTech Surrey. What can I say?! Once I had got the word ‘inspirational’ out of my head the one that immediately followed was ‘imperative’. With projections that at least 50% of new jobs will be STEM related, the work done by TeenTech and SATRO, is most definitely imperative. By providing true to life examples and interactions with real people they help put science, technology, engineering and maths into context. TeenTech and SATRO help demonstrate how these subjects are part of our every day lives and inject that all important human element. After all, STEM, like everything is ultimately all about people. Walking around The Challenge Zone, passing Atkins, Thames Water, Sodexo and the wealth of other interesting companies I happened upon Andy Hunt, Judith Gregory and the team from GSK. Cool chemistry. Creative chemists. I just had to say hello. Their enthusiasm and toothpaste challenge really made me want to reach for my white coat again! 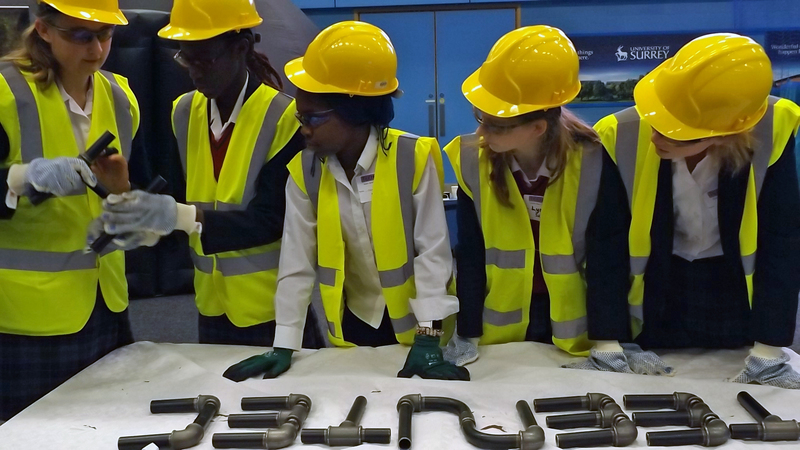 By welcoming young people into their world and sharing experiences and stories our current STEM professionals can actively play their part in inspiring future generations. And it’s not all one-way. Talking with a new audience who come with different outlooks and fresh ideas helps fuel our own creativity and take us out of our personal bubble. TeenTech and SATRO do great work every day investing in skills and raising the profile and accessibility of STEM. Long may it continue.